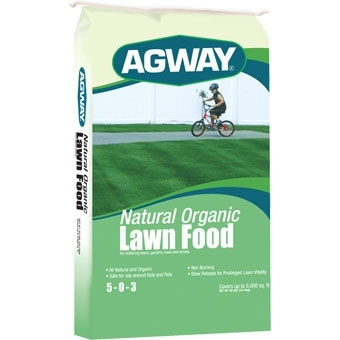 Natural organic fertilizer for fertilizing lawns, gardens, trees and shrubs. One 40lb bag covers 5,000 sq. ft.
No phosphate formula; all season lawn food; 3x the slow release nitrogen of conventional law foods; non-toxic. Safe to use around children and pets. 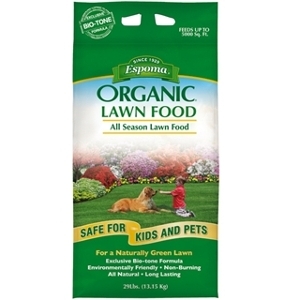 Espoma Organic Lawn Food All Season Lawn Food's all-natural formula is safe for kids and pets and helps you grow a lustrous green lawn all year round. Fertilize the natural way with Espoma Organic Lawn Food All Season Lawn Food.